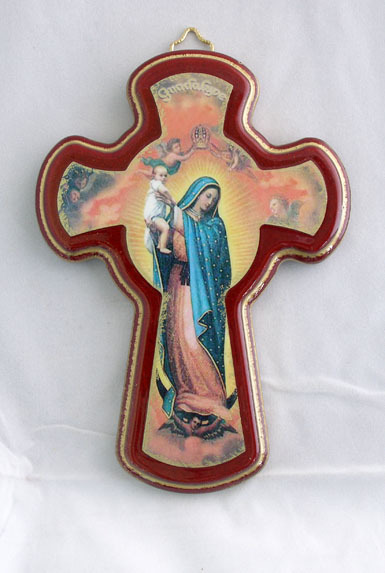 An Our Lady of Guadalupe wood cross plaque, 4.5x5inches. Made in Italy. CLOSEOUT!!!!!! !